The 21st African Senior Athletics Championships will be attracting the continent’s big names to Asaba, Delta State and one of those expected to light up the oil-rich City is World 5,000m champion, Hellen Obiri. Obiri who finished tops at the last World Championships in London and in the Commonwealth Games at Gold Coast is yet to have an African title and the 28-year old is keen to add that to her impressive curriculum vitae in Asaba. The 2016 Rio Olympics 5,000m silver medalist was in action last week in the Kenya Defense Forces Championships where she clocked 14:48.5 to cruise to victory and she is now eagerly counting down to Asaba 2018 and thereafter, the Intercontinental Cup. “For me, the Africa Championship is a good opportunity. 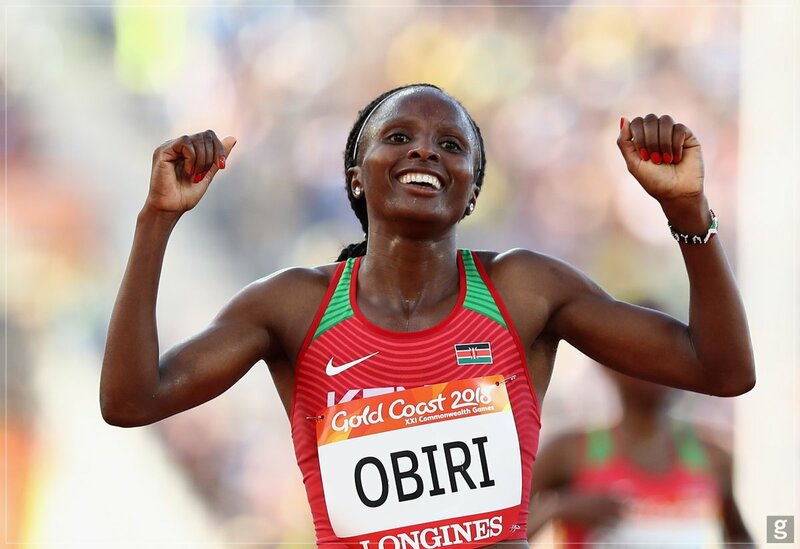 I have never won the 5,000 meters at continental level and that is why I am relishing to compete in both events,” Obiri told reporters in Kenya after her latest victory at the Moi, Kasarani Stadium. Obiri believes she has recovered from her exhaustion following back-to-back competition at the global level and will be firing from all cylinders at the Africa Championships. “I am happy to run 14:35 at the Prefontaine Classic (Eugene USA) after a few weeks of experiencing under strength. This is due to low iron levels in my body. But I promise to get better from here.” She assured. With Athletics Kenya already promising to send a large and equally quality contingent to Asaba, it is expected that world half-marathon record holder Joyciline Jepskogei and Berlin Marathon champion Gladys Cherono will all fight for places in the Kenya team also. The Kenya national championships is due on June 21-24 in Nairobi to select the team for the Africa Senior Championships, which will be held in Asaba, Delta State between Aug. 1-5.